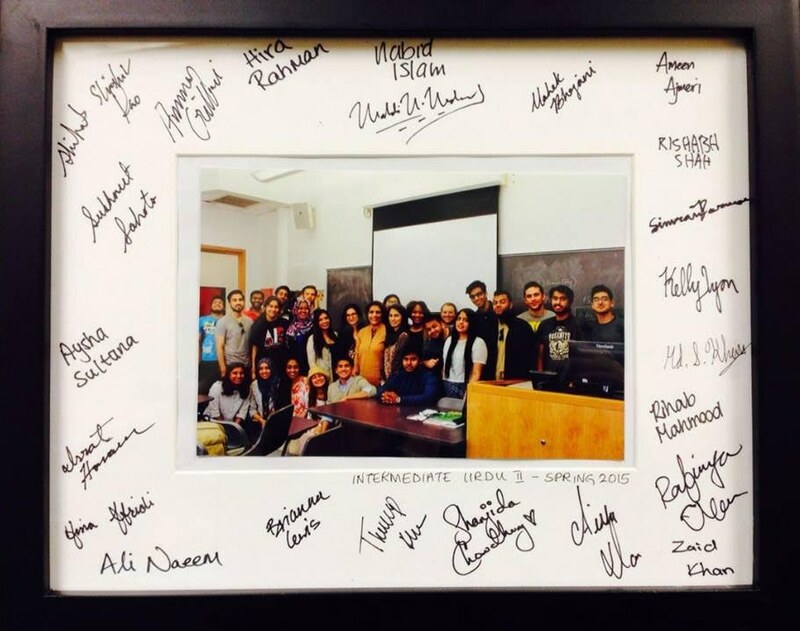 These New Yorkers are working to promote Urdu reading and writing in the Big Apple. “That day everyone who learnt about the death had reached [our home] immediately. These are the loosely translated opening words of Syed Saeed Naqvi’s Urdu short story Sayee Ki Talash [Searching for my Shadow]. Naqvi is presenting his latest at a session of Halqa Arbab-e-Zauq, New York — a literary movement that began in Lahore back in 1939. As the author’s work discusses Diaspora issues, a small audience of mainly middle-aged first-generation Pakistani immigrants expresses appreciation with shouts of ‘Wah! Wah!’ [Bravo!]. After Naqvi’s reading concludes he is applauded. The floor is now open for the audience to critique his writing. Halqa members take the podium one by one talking about intricate details like the author’s ‘alfaaz ka chunao’ [choice of words] and how it could be improved. As the evening progresses, other authors and poets take the stage. Khalil Ur Rehman, the editor-in-chief of Urdu Times USA photographs them. The venue for this event is a restaurant called Kabab King, located in the Jackson Heights neighbourhood. As Urdu high literature is discussed inside the eatery, out on the street an elderly South Asian gentleman audibly hurls Urdu abuses at someone over the phone. This locale in Queens is full of Pakistanis, Indians and Bangladeshis. The multilingual shop signs here reflect this diversity. At a storefront, instead of Tag Heuer posters featuring Brad Pitt or Leonardo Dicaprio, Indian adverts of the brand with Aishwarya Rai and Shah Rukh Khan are displayed. Right outside Kabab King is a newsstand where a South Asian man is reading last week’s Urdu Times — arguably North America’s most prominent Urdu-language weekly. Things have changed since the 1980s, when Urdu Times USA started off as a New York-based community newspaper. Back then, the paper’s editor, Khalil Ur Rehman, would get copies of Pakistani Urdu dailies from PIA staffers who were flying into New York. After getting the latest scoop, Rehman and his team would start working on their paper. The headlines were calligraphed by an Urdu Times staffer who was the 'lone Urdu katib' in the city. Thanks to advancements in technology, Rehman’s life is easier in many regards today. Most of his paper's staff is now based in Lahore. The publication’s footprint has also seen an increase; Urdu Times is now produced from various metros in the United States (US), Canada and England. Yet, readership is dwindling, Rehman laments. “I used to distribute 20,000 newspapers in New York at one point, today only about 5,000 copies reach readers,” he says. 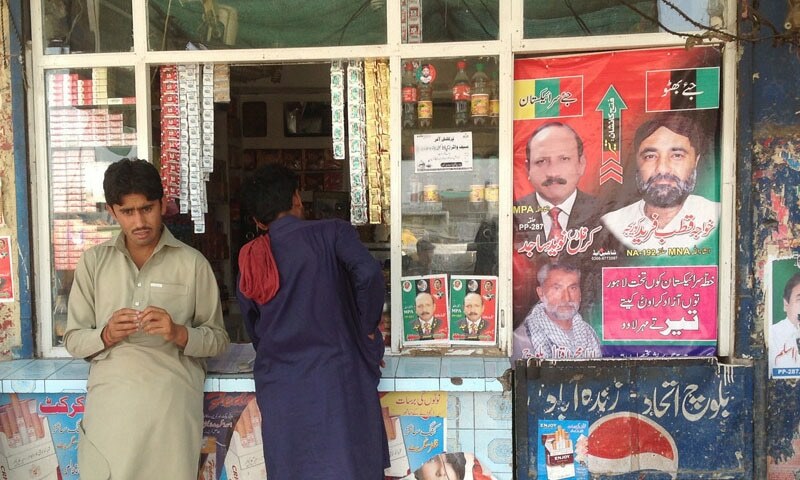 “My own children read The New York Times... but not Pakistani newspapers,” he says. 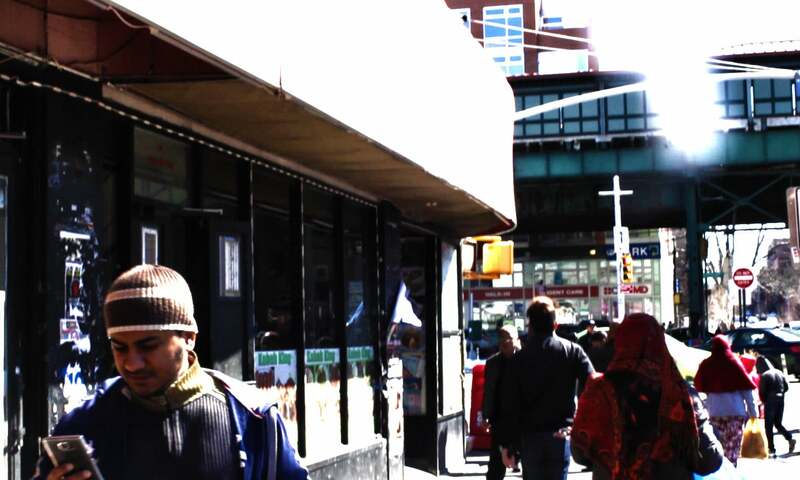 He is still hopeful and sees people trying to get more New Yorkers interested in Urdu language. “There are efforts to try and introduce Urdu as a second language here. In America, students have to study a second language [in college]… More recently there has been some interest in Arabic and we’re trying to push Urdu as well,” he says, mentioning the Urdu programmes at New York University and Columbia University. Tahira Naqvi, a Pakistani-American academic, translator and author, was hired to teach at and develop the programme back in 2002. “Urdu has traditionally been taught together with Hindi in the US. That was also the case at New York University,” Naqvi tells Dawn. But this changed after 9/11. “The programme director, Professor Gabriela Ilieva, saw a need to separate the two languages by creating two tracks,” she says. The Department of Middle Eastern and Islamic Studies at NYU now houses separate Urdu and Hindi programmes. 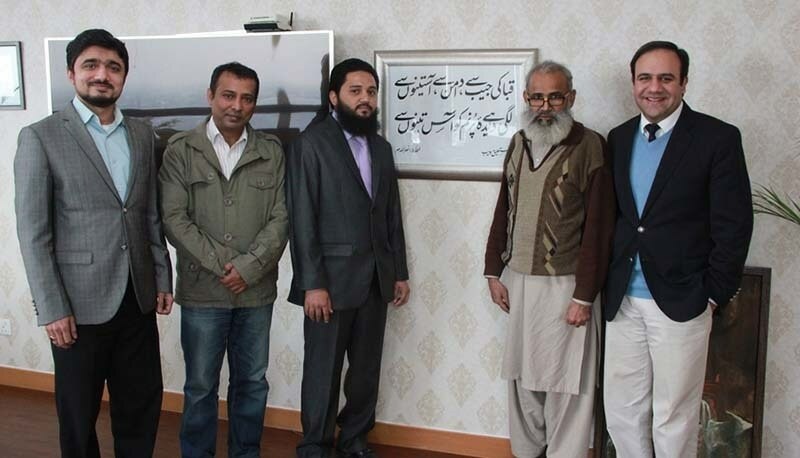 “We hope to create real interest in Urdu language and culture among students,” Naqvi says. To do so, the professor introduces her students to Urdu poetry and fiction. She uses “authentic” Urdu materials to teach and engage the students. Lately, she has been using Burka Avenger to teach language through discussions of the social ills that plague Pakistani society. Every semester, Naqvi has about 30 students in her classes. She stresses that this is a “big number” since NYU doesn’t have a South Asian Studies programme. Of these there are one or two ‘non-heritage’ students who are learning or brushing up on written Urdu to pursue research related to South Asia. But most students studying Urdu at NYU are of Pakistani or Indian-origin. Interestingly, more recently Bangladeshi-origin students are also enrolling in the Urdu classes. 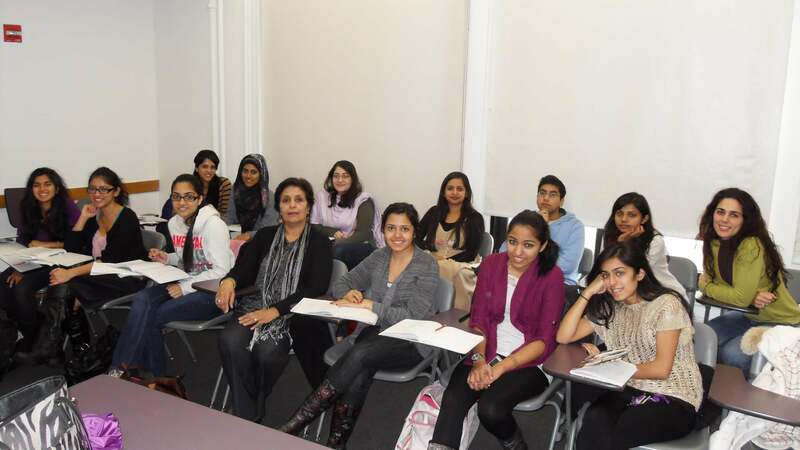 “For the Bangladeshi students, the Urdu classroom provides many things: further connections with the Pakistani or Indian (Urdu-speaking) students with whom they share a commonality as Muslims, a greater exposure to and understanding of Bollywood cinema — which everyone craves and which, along with the songs, keeps Urdu going in the subcontinent — and finally Urdu poetry, which is a big draw for the Advanced Urdu classes,” Naqvi explains. Naqvi explains the importance of the work being done by 'Urdu-wallahs'. 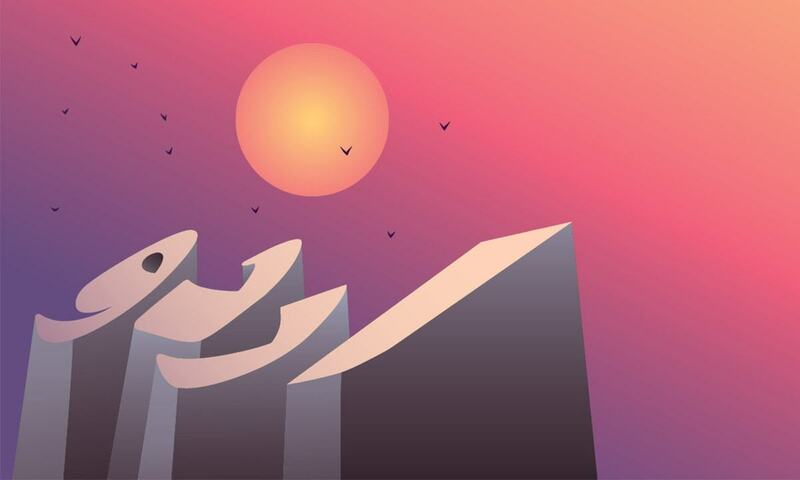 “Urdu’s relationship with this generation carries with it the immense and wonderful heritage of culture — tehziib — that includes poetry, prose, fiction, history, music, dance, festivals, traditions, clothing, mannerisms, politics, and so much more. To deprive a child of immigrants of these enriching elements is, in my opinion, a crime. In our own humble way, we who teach Urdu here in the US, try to provide a deterrent to this crime, so to speak,” she says. How does learning Urdu connect one with their roots when it is the mother tongue of only 6% Pakistanis. Just saying. Why not visit Pakistan and visit your ancestral home. Just saying. No one cares about Urdu language. If you make New York your home then learn english not Urdu. Most Urdu-Wallahs cannot speak proper English, even after living in the US for decades. That's the main reason behind this. Why don't see the same otherwise, among the Pakistani diaspora in Canada, UK or elsewhere? Where you could just get by on Punjabi, Gujarati, Urdu or whatever native mother-tongue you had - if you mingle only among the desi community and learn nothing of the adopted country. A very interesting report. Thank you. Prof. Tahira Naqvi and other Urdu Wallahs in New York are doing a tremendous job. Please carry on. Urdu is a sweet treasure. Very nice. I love Urdu. Such an eloquent and sweet language with built-in courtesy and respect! US born generation has no interest in Pakistan OR Urdu, they are Americans. Get over it. Also, holding any such event at one of the worst places in Queens will guarantee no show from community. The disconnect between generation that moved from Pakistan and generation that was born in US is massive with no effforts done to bridge gap. There will always be people who understand the value and heritage of a language and then there are ignorant as I see in some of the comments here. Professor Naqvi is doing a great job. I know some of her students both from South Asian and non South Asian background. The nuances of a language could only be learned by actually learning it in an academic setting and it is a great gift to the next generation. Otherwise the gentleman hurling abuses as mentioned above was also speaking Urdu. @Asif you and your coming generation will never become American you will remain Desi whatever you do to change yourself. Good job Mrs Tahira Naqvi keeps up the good work. This is very important. Their are some Urdu organization in NY, LA, Chicago, and Houston but Urdu is on a fast decline in North America and very soon this beautiful language of ours will die here. The new generation of Pakistani children, in fact I should say Children of Pakistani Origin born in US are naturally adopting English as their language and unknowingly their parents are also is conversing with them in the same language. To prevent this imminent death of Urdu in North America we have to take one simple effort. Our parent should adopt Urdu as the official language at home and with their children and encourage the same by teaching their children to talk back or answer to them in Urdu. The only community I have found that mostly uses their mother tongue in America are Hispanics. They have still kept their cultural heritage alive and most of them still communicate in Latin. @Sara . I respect your opinion. I agree, that a person living in NY should learn and speak English. However, the world is not black and white. With the increase of age one becomes more conscious about the lingual and cultural roots, and tries to maintain a link with these roots. A human nature. @Omar Almost everyone in Pakistan understands Urdu. It is up to us to make sure our children learn Urdu. The advantage of conversing in Urdu with our children is that they do not pick up our accent. From Toronto with love. Their are 'Urdu-Wallahs’ in Los Angeles too. URDU WRITER SOCIETY OF NORTH AMERICA is the organizations name and you can learn Urdu on their website too plus they organize Urdu Adaab related events round the year. @roy it's an unscientific language, if you know what that means. Learning a new language is always a good thing. I wish I had that opportunity when I was growing up in USA but it is never too late. I myself teach Urdu to Americans. Americans are always anxious to learn a second language. It is true that Desis' new generation is not paying that much attention to Urdu as it is not used in their academic institution or business place. I have three children in USA, all three are good in English, and speak and understand Urdu very well. One more thing is that the studies say that bilinguals are, and remain, more smart with their brains, so why not Urdu. @Syed (USA) it is not about changing; it is about where yu were born and will be brought UP; Urdu and Hindi have no relavance in newyork and should ot have. Some of the comment providers here seem to believe one can only speak and learn one language. That is crazy. Urdu is full of wonderful prose and poetry - just like many other languages - so wanting to learn it is a great thing. Each language adds to the diversity of this world. If it also helps one connect to their own ancestral heritage all the better. Urdu connects very well with the roots, Urdu is spoken in every corner of Pakistan , and the Various provinces have communicated with each other , on the basis of Urdu , it is the cement holding Pakistan together , so please don't undermine it by making negative statements .Urdu was at one Time considered the Muslim language of undivided India , and all educated muslims spoke it Irrespective of their provincial language . I got hurt to review the adverse comments from gorafied minority, Naqvi your are doing great job. I wish we could create such a forum in Delaware. To keep the sweetness and sound of Urdo, I asked my children to speak Urdo while at home which worked and now they are good at both languages concerning the conversation aspect. I feel proud that they can talk to Pakistani or Indian in Urdo which also is your roots ID. Well, I believe most of the people who abandon their native language have no ID, they are in the middle of no where they cannot gorafy their food their culture and their heritage. We must carryon on ignoring those who try to be some one they cannot be. We should not loose hope and should not reduce our contribution towards promoting Urdu in USA, UK and other parts of the world where Urdu is spoken. Urdu had great potential to flourish in India but due to division of India and subsequent political turmoil in Pakistan its growth was badly hampered. We must put all possible efforts for promotion of this beautiful language. Urdu may be the mother tongue of a small minority in several countries but its richness, richness, powerful poetry and a lineage of authors and poets and philosophers is unrivaled. This is not your democracy that comes to mind but a legacy that has no counter to it. Ghalib alone would make Urdu a cultural universe among the languages. Wonderful article. I am a Urdu writer, poet. I am teaching Urdu classes here in Hudson valley. I am Nyu graduate from masters in social work. I am Pakistani who has been living here from 20 years. My poetry is being published in dunya international newspaper. As I am teaching Urdu here to children, I do realize there is lot of need of Urdu language as reading and writing are slowly dying here. I am volunteering in our Islamic Center to children. Not only language, our culture, tehzeeb, expression of romanticism as it used to be extremely rich in our roots is diminishing. This is true that we do see a need to establish Urdu language in terms of reading and writing here in the u.s. I live in Hudson valley in New York and volunteering locally here to teach Urdu in our Islamic Center. I am an Urdu poet and a writer. I have extreme passion towards Urdu adab. My poems are being published in Dunya international newspaper. Instead of criticizing the effort, Urdu being the language of only 6%, it is a language that connects all Pakistanis, and Sindhis, Pathans, Punjabis and Balochis, all speak and understand some. It is after all our national language; let's not try to change this fact and politicize it. The NRP or NRIs needs these classes to teach their generations where they come from. It is indeed very important to learn to atleast speak if not write as well, your mother tongue, be it Urdu, Hindi, Gujarati, Tamil, Bengali etc. Your mother tongue most certainly connects you to your roots and heritage. We ensured that our children conversed in their mother tongue Gujarati at home. They are grown up now and following their professions in UK. They still converse fluently in Gujarati. It has been shown by many studies that bilingual children do indeed perform better generally.